In Casino City, you get to design and manage your own casino with decor and gambling stations. 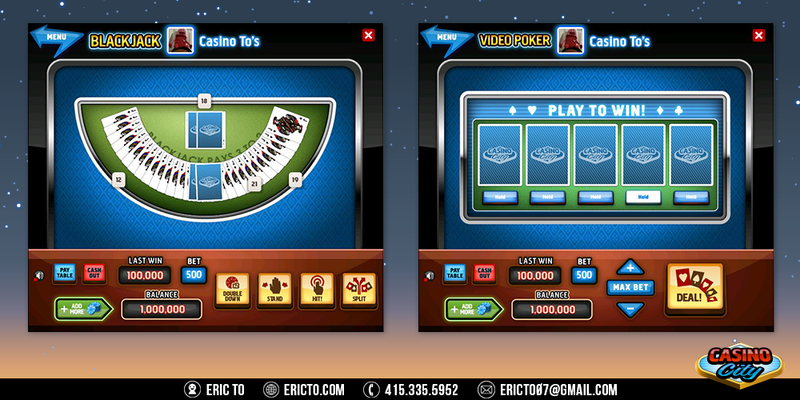 Players can unlock mini games like slots, black jack, video poker and roulette from leveling up. Gambling stations are upgradable and will give out more chips. You can spend your chips on mini games and try to win the jackpot. 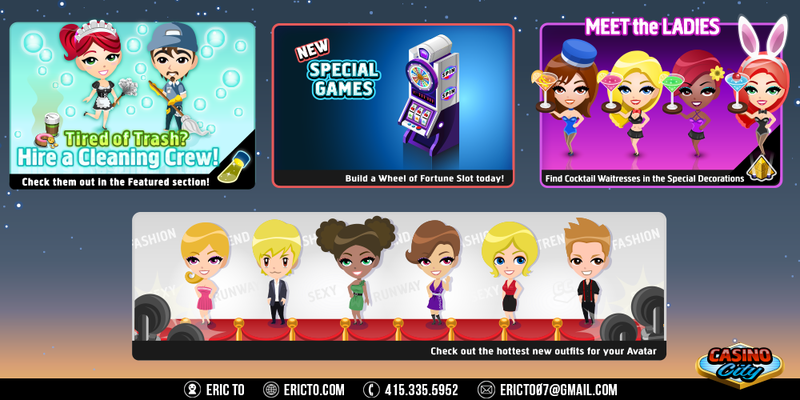 Role and Responsibilities: I conceptualized in-game assets and character designs for Casino City. Served as the sole game artist from pre-production, production, and to launch. Asian theme - Gambling tables, slots, and decor. Special gambling machines and tables. Black jack and video poker gambling games. slot machine and roulette gambling games. 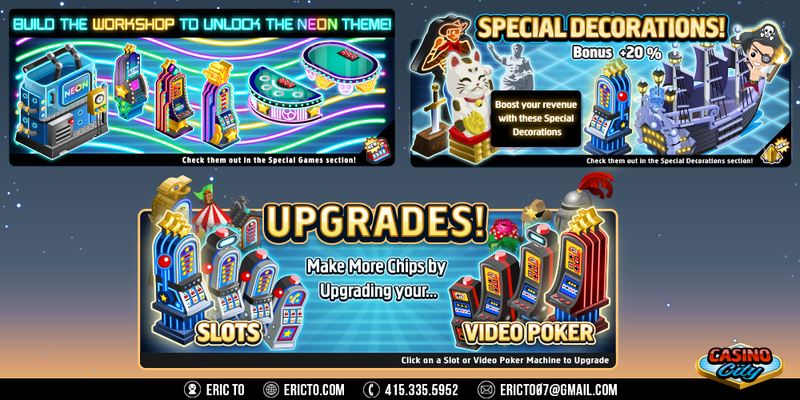 Banner ads for new decor and gambling stations.